We’ve all heard about “dream teams,” collections of amazing individuals who somehow become more than the sum of their parts and achieve extraordinary things. History is littered with legendary sports teams, breakthrough businesses, and other groups who overcome impossible odds, but such teams are still incredibly rare. So we celebrate them, mythologize them, and even build pop culture franchises around the dream-team concept (superheroes, anyone?). But beyond the myths are some questions. Where does synergy come from? What can we learn from the teams that have it? And how can we apply those lessons to our own work? To find out, we asked Shane Snow, author of the new book Dream Teams: Working Together without Falling Apart. 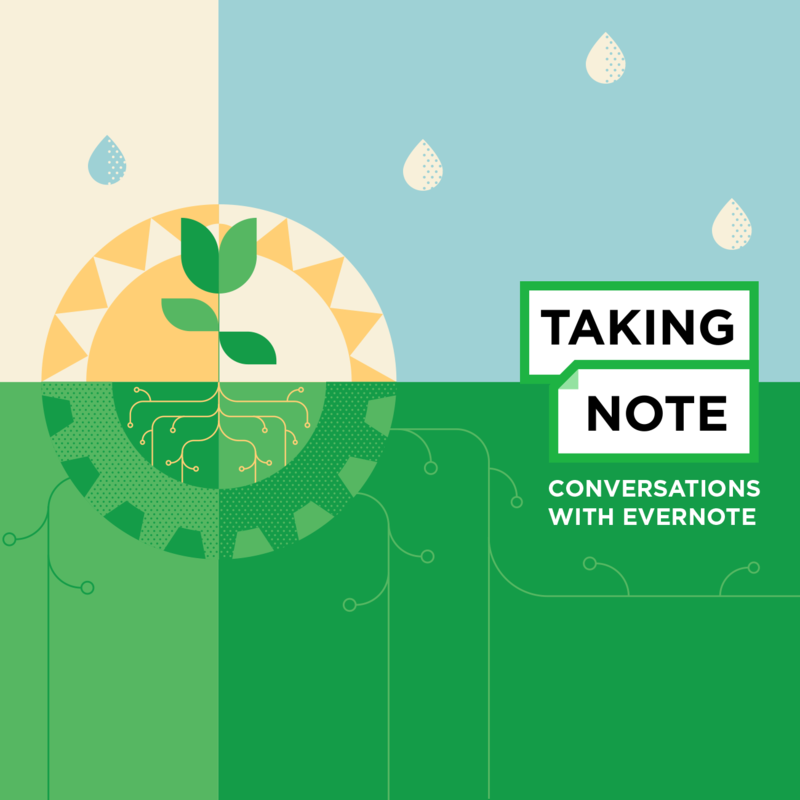 In the latest episode of the Evernote podcast, Shane argues that the teams which overcome the biggest challenges aren’t necessarily the ones with all-star talent. Instead, they’re groups where a diversity of skills, knowledge, and ways of solving problems come together, harnessing the tension that results in ways that push them into new territory. Shane also shares how he used Evernote throughout the process of writing the book. Listen below or read on for some highlights from our conversation. So much of the conventional wisdom is that [building a dream team] is about collaboration, without really thinking about what that means. Just get the best and brightest people together in a room, and structure our offices to make sure that they’re all in each other’s faces all the time and magic happens, right? But you argue in the book that it’s not just about collecting all-star talent. Right. It turns out that when you look at, say, hockey or basketball, team sports that require lots and lots of coordination in order to win, you look at the data and it shows you that teams that have the best players actually tend to underperform versus teams that just have a couple of best players and then really good collaborators with them. There has to be some sort of chemistry. Yes. In the 1970s psychologists did a bunch of studies where they wanted to get at what makes people happiest at work, and what they concluded from these studies is that if you work with people who are very similar to you, having similar personalities, similar values, that you will be happier at work. And over the next 48 years, we conflated being happy at work, being comfortable at work, with success. We assumed that being happy means you will work together better, but it turns out that that’s the wrong thing. That’s actually not correlated with innovation at all. You can be happy and very innovative or you can be happy and not innovative. Turns out that our ideas around team unity actually tend to hold us back from what really matters, which is combining different ways of thinking so that we can come up with something better. And so, the result is we have teams that get along really well or that self-select for people who will get along well, who then don’t have the dissent that they need to think outside of their own paradigm. They don’t have the provocation to think harder, they don’t end up being as cognitively engaged on hard problems as they would be if they’d collected different people who would be more likely to not have similar personalities, but more likely to come up with better ideas together. I’m not saying that you can’t have a team that’s nice, that loves each other, but that is not correlated with success. And more often than not, it’s correlated with things that hold you back. Teams that actually do beat the odds, that add up to way more than the sum of their parts, the ones with the best stats, are the teams with the most interesting combinations of people. The analogy I like I to use is: you’re a movie director, you want to make the next best movie that’s uh ever been made, and it’s time to cast your actors. Do you take the last 20 people that acted in your last film and apply them to this film? Probably not. Do you pick the actors with the best GPAs, who just applied with their resumes? Probably not. Do you only select actors from Harvard? Probably not. You cast the most interesting combination of people that are going to help you make this groundbreaking film. I think one reason that teams don’t seek out different ways of thinking is a natural tendency not to want to rock the boat. We feel like it’s easier if everybody’s naturally in sync. Doesn’t breaking that culture fit that you’ve established make it harder to work together? It does, and that’s precisely why you can do better. One of the things that happen in companies that try to be thoughtful about adding different kinds of people to the group is they immediately experience fear and conflict. Different people will have different ideas and what happens next is either going to be some sort of a showdown … or they hold back, they start to keep quiet, they participate less, they participate only if it feels like it’s safe to. And so what you end up with is a group of people who have fear and conflict, but who gets none of the benefits of that discomfort. You know, discomfort causes us to think differently, to engage our brains more and in different ways, and this is how we come up with better solutions to problems. So often when we’re discussing this idea of diversity, we’re only discussing half of it. And then the second half we often discuss is: how do we make this comfortable for everyone? We have all these different people now, how do we make them comfortable? We want to make them feel safe, but being comfortable is not the point. Being comfortable is actually liable to hold us back. It’s possible to have full personal and emotional support and also full intellectual conflict. That I think is the ideal. But we tie those two things too closely together. Some of the other folks who’ve appeared on this podcast have spoken about a “discomfort zone” — the notion that we make the best progress when we push ourselves beyond our comfort zone. But we don’t want to go so far that we set ourselves up for failure. Throughout the book, you talk a lot about the potential energy that is unleashed by tension, and you use this metaphor of the rubber band. You can chart the amount of potential that a group or relationship has between them, and the more tension between their different ways of thinking or approaching problems, the more potential energy there is. It’s almost like a skateboard ramp. On one end, there’s kind of very little potential because there’s very little tension, and it goes up and up and up. But at a certain point, there’s so much tension that the dynamic turns into a destructive one. Often this is where a group is working on foiling each other rather than solving problems together. But the goal is to stay in that zone where there’s as much potential as possible, and that’s the place where there’s most tension. So our challenge is to keep our relationships, our conversations, our debates, our exercises and problem-solving in that area where we have the most potential. You want to keep the rubber band stretched tight because it has all this energy, but we don’t want to turn it on each other and shoot each other with it. I’m reminded a little bit of the science fiction trope where the thing that finally gets humans to stop killing each other is when the external threat appears, right? The killer asteroid or the alien space fleet lands and then we suddenly realize “Oh, we’re more alike than different; let’s go fight that other thing.” Is this what teams need? To rally around a big challenge? This is what psychologists call a superordinate goal, a goal that supersedes all other goals. An existential threat is a really good way to get a superordinate goal, ’cause we all want to survive. But, you know, if you’re working in a business — say you’re working in a software company — the superordinate goal is kind of hard to find. We all have different goals. It’s hard to say “if you don’t do this, you’ll die” and for people to believe it. It’s hard to manufacture that. But it is possible to simulate that and this is where, I think, an overriding purpose is very helpful. There are a lot of great groups in history that were very different, did not necessarily believe in all the same things, but did have one overriding purpose were able to come together and use that as a way to bond. The trouble we get into is we think that our beliefs have to be the same in order for us to do that, and that’s not the case. But our purpose of what we’re striving for, if it’s powerful enough, can be that. And the thing that happens is when you have this really strong superordinate goal, this shared purpose, you start to do what they call an optimal distinction: you want to be different, you want to have your identity, but you start to respect the fact that your distinctions can be useful to this purpose and other peoples’ distinctions can be useful to this purpose too. And in the right environment, it allows you to see yourself as part of one big group, but also part of your own group, which is sort of important to us psychologically. I think that the best analogy is a great family. A family that is really powerful, that is really strong, is the family that no matter what the kids decide to do with their lives, no matter who leaves home, the family is the important thing. It’s hard to get to that point in a group that’s working on something that doesn’t matter that much, you know? But you can see how things that you are working on can translate into something that people care about more. You’re building buildings but you’re actually providing a place for people to live and for families. People that care about that thing, that’s who you want on your team and then they can be different and distinct, and it’s okay. So it’s not just about the thing that you’re doing, it’s about why you’re doing that thing and who can you find who can resonate with, understand, and act on that reason? And not forcing people to care about that thing, but finding people who do care about that thing no matter how different they are. Often when we’re thinking about breakthrough ideas, you have to go pretty far out of your comfort zone to get to them. If you’re going to move from flat earth to round earth, you have to really kind of smash the paradigms. But that also opens the door to really crazy, kooky ideas. How far is too far? I spent a good deal of time on this question. There are these two competing studies that I discovered that were really troubling. One was the attributes of people we’re likely to put in leadership, and the main attribute that inversely correlated with being promoted or elected is creativity. And right around the same time I read this study, they surveyed Fortune 500 CEOs and asked what attributes does the next generation of CEOs need to be successful, and they said number one is creativity. So that’s troubling. Creativity is risky. Something that is outside of the norm could be good or it could be bad and we feel less safe when we have that. So you draw that to sort of its extreme conclusion. If we operate within our normal boundaries, we are unlikely to make breakthroughs but we are also unlikely to fall into a pit and die. So the question becomes do we need crazy people who are willing to go out into the unknown, to explore the edge of the map? The thing that I’ve concluded, and it’s backed up by research, is that even terrible ideas can be very useful. Someone who’s explored the edge of the map has paved the way for us to explore what’s in between. Even a clearly bad idea that is not directly applicable to the situation you’re in can still be useful by pointing your thinking in an entirely new direction. Sometimes maybe you need to go all the way to the edge and then pull back a bit and that’s when you start to find things that actually can help you. And I think that is a case for never ignoring people who we write off normally as crazy. Whether they’re crazy or whether they’re geniuses that we don’t recognize, whether their ideas are good or bad, paying attention to them and exploring them can help us to come up with new and better ideas in our own work. Now, on a realistic level, I work on a creative team. I don’t necessarily want to start hiring raving lunatics but I do want to enhance the creativity of the team. How do you go about identifying what a good individual fit would be on a team? How would you test for this? is this something you could bring into a job interview? My favorite mechanism or device for determining the potential for a different mental toolkit is storytelling. There’s the checklist of things that people need to know in order to be qualified for a job, but sometimes I think we have the wrong checklist, often we do. If you are going to get the job, there’s a certain set of things you need to know how to do. The more interesting thing for me in interviews is getting at someone’s personal story. So I like to ask questions like, “What’s a time in your life when you really changed your mind about something really important?” And I like to push people on that. I’ll also ask, “What’s something that you know how to do that most people don’t know how to do and can you teach me? And how did you learn that?” Or, “Outside of a work context, what do you like to read?” And these kinds of questions get people to start talking about their unique story. You’re also giving them implicit permission to be themselves, which is really important. We often show up to interviews trying to conform to what someone expects us to be. But the guy who was a piano tuner before he became a computer programmer and who has a great story of how he made that switch, might have a different way of looking at the world than the five people you just hired who were just computer programmers straight out of college. And you don’t really find that out necessarily unless you get people to dig into their story. Looking for culture add or cognitive contribution rather than culture fit or cognitive fit is really important. And stories are a way to do that. I asked two people in one day the “what do you read” question in job interviews. And one guy said, “I read sales blogs and sales books. Sales all the time, I just love it. I get up in the morning, I read sales.” And, you know, he’s probably lying about this. Who does that? Next person I interviewed said, “Well, I have three young kids and they’re starting to get to this age where they’re reading young adult novels, so I’ve started reading these books that they’re about to read so I know what’s in them. And I have to tell you, it’s kind of embarrassing, but I really love these books and I think that vampires are on their way out and angels are the next thing.” And we spent 15 minutes talking about vampires and werewolves. I learned something about who she is. You can’t ask in an interview if someone has kids but I learned through her talking about this that she manages a house of three crazy, young kids and she’s very thoughtful about the way that she does it and she also is a delightful, multidimensional person. Only one of those people got a job that day, and you can guess which one it was. I know you’re an Evernote user and you used Evernote pretty substantially in the creation of this book. Tell me a little bit about your process. I’ve been using Evernote for years as my own personal productivity tool to remember everything, right? 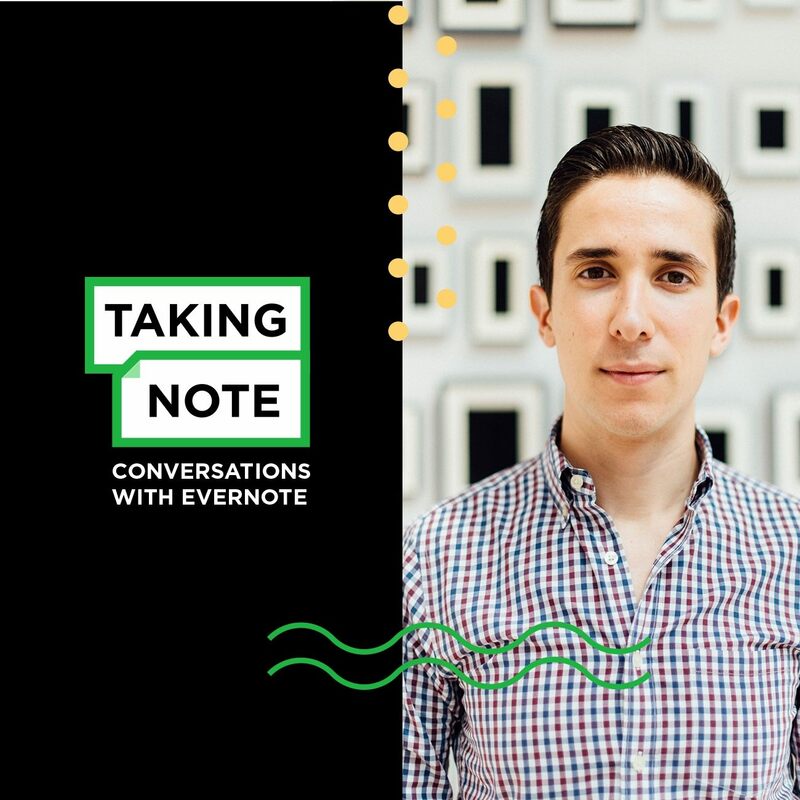 As a journalist, as a business person, I take my notes in Evernote, save my notes in Evernote, and for this project, because I wanted to inject more collaboration into this process, I made more use of Evernote than I ever had before. So I have this whole workflow where I’ll do an interview, and I’ll record using the Evernote audio recorder. I’ll have that sent to be transcribed into a Word doc, and then that goes back into Evernote. So I have my interview that now is in audio and text, searchable in Evernote. I don’t even have to tag it anymore because the search tool is great. So I do that, I clip research from the web, I save PDFs in there, I take photos of everything. It’s all inside of Evernote. And then, as I’m assembling my article, or in this case chapters, I have them in one place. I think this book is so much better than my other books, not just because I’m a more mature writer, but because I collaborated with many more people and I had many more sources as part of this process, and organizing all that, searching all that, filtering all that is just so much more possible using a centralized tool like Evernote. So I’m kind of obsessed. I’ve convinced a lot of people in my life to start using Evernote, but I wouldn’t do it unless it was truly useful for me. I have different [stacks] of notebooks for the big projects. So for this book, there’s a Dream Teams collection and inside of that are notebooks for each chapter, each concept, a notebook for general research and notes, which basically I’ll save stuff into and then I’ll sort it later. The nice thing about the search tool is if I put things in the wrong notebook, it’s going to be fine. And then, I have a notebook for marketing, a notebook for general ideas. And then, in each notebook I have the different PDFs, research documents, notes I’ve taken, interview transcripts, and then I’ll generally have a note that has my to-do list, and I kind of use that as my own project management. You included a lot of amazing historical stories in the book. Did you discover any new personal heroes? Yeah. In the first chapter, I talk about the first female detective in American history. Her name is Kate Warne and she is awesome. She was instrumental in not only saving some very important lives but also setting the foundation for what we now know as the modern private detective agency and how we do detective work. Also, the U.S. Secret Service comes from the group of collaborators that she was a part of. She was so good at disguises, at ferreting out secrets, about getting people to cough up information, she was sort of the smooth-talking detective that was the counterpoint to these other detectives that would, you know, kick down doors. She was so good at this job and her boss, Allen Pinkerton, recognized that she could bring something unique that the rest of the agency couldn’t, at a time when police departments were exclusively men. He knew that was going to make things better. And she literally changed the world. I won’t spoil it, but the course of American history would’ve gone very differently if not for this woman. And so she’s one of my heroes. 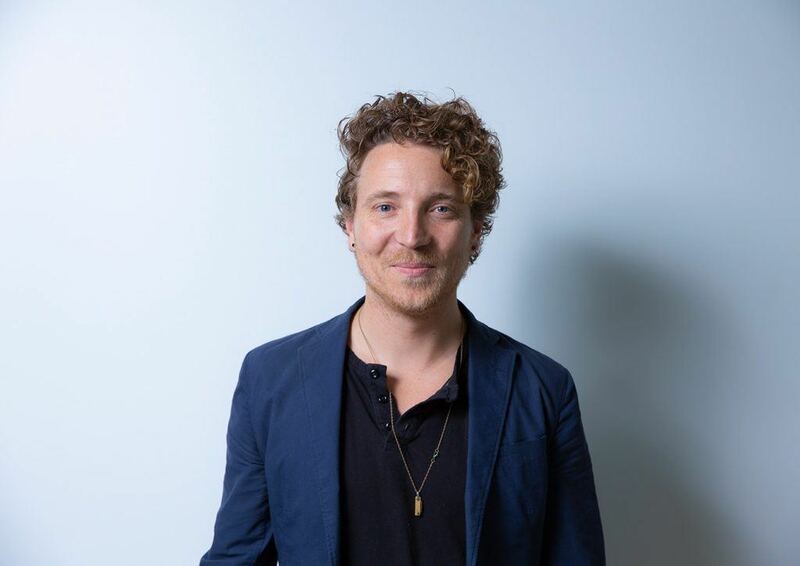 Shane Snow is co-founder of Contently, a technology platform for content creators. 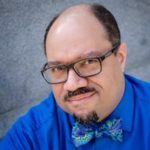 His writing has appeared in Wired and The New Yorker, and he is the author of three books. Shane also sits on the board of the Hatch Institute for Investigative Journalism. Dream Teams: Working Together Without Falling Apart will be published by Portfolio Books on June 5, 2018. To hear our complete conversation, click the player above or download Taking Note from iTunes, SoundCloud, Overcast, or your podcast platform of choice. Growing a small business starts with a solid yet flexible foundation of resources. 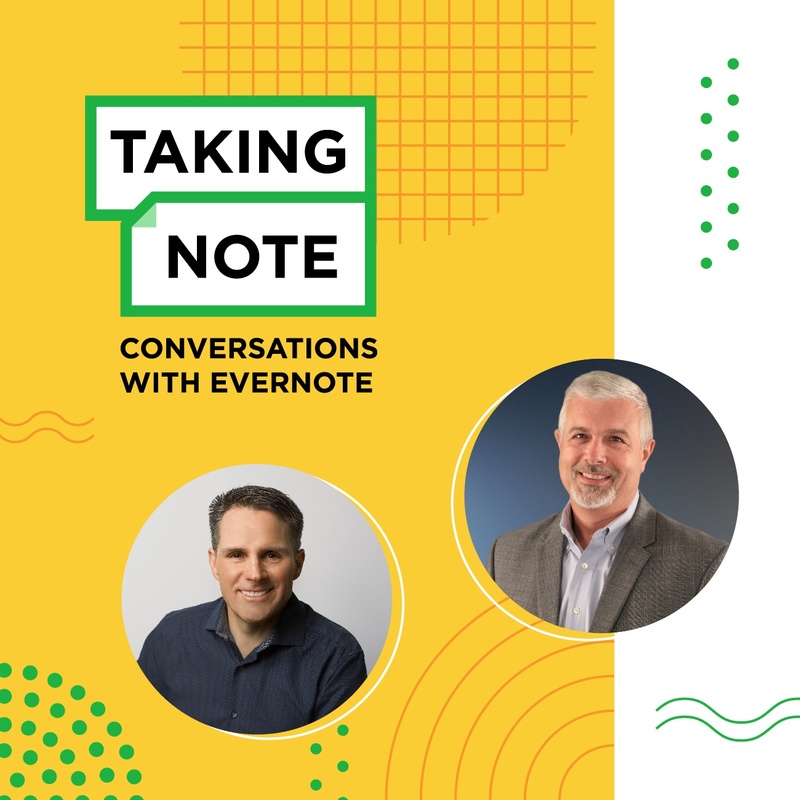 Leaders from Evernote and Upwork share trends they’ve seen in the market and tips for small business success.